Q: AMC Theaters is offering an unlimited ticket so viewers can see “Interstellar” as many times as they want. If you could buy an unlimited ticket to any movie, what would it be? The ticket includes on-demand projection in the format of your choice at a nearby theater, but popcorn is extra. I’m going to go wild here and say I’d want an unlimited ticket to see “2001: A Space Odyssey,” which I’ve already seen more than 50 times yet never tire of. BUT I’d want the ticket for the Seattle Cinerama Theatre, one of the last places in the world where you can still see “2001” in its original curved-screen format. Which would essentially mean I’d have to move to Seattle, which I have no plans of doing. But a boy can dream, can’t he? The true answer to this has to be, “There cannot be only one.” With innumerable great films to choose from, it’s impossible to pick just one for this answer without betraying one or another favorite of mine. Would it be better to choose a classic better known for its visual immensity (such as “Lawrence of Arabia”) or a no less brilliant film better known for its fast-paced wit and verbosity (such as “Duck Soup”)? Ah, decisions. 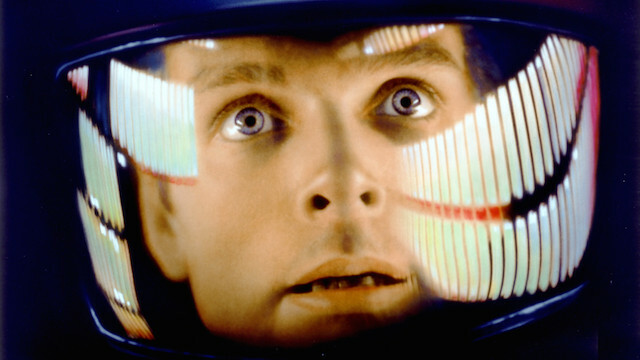 With the aforementioned caveat in mind, I’ll go with perhaps an obvious pick: “2001: A Space Odyssey.” I’d want a film I’ve never had the opportunity to see on the big screen (repertory options in my neck of the woods are slim pickings, sadly), and frankly, if I can demand that a theater screen it to my demand, then I should be picking a big one in every possible sense. So, I’ll go with a 70mm presentation of 2001. I might not watch it every day or once a week, but the very opportunity to be swallowed up whole in the grandeur of outer space as visualized by Kubrick is one I can’t resist. Jonathan Demme’s concert film of Talking Heads isn’t just one of the best music movies: For my money, it’s one of the great celebrations of how joyous the act of creative collaboration can be. The music is glorious, frontman David Byrne is mesmerizing and everybody on stage just looks So Damn Happy. (The film is such pure up that even the slight dip courtesy of Tom Tom Club’s dated “Genius of Love” is charming.) 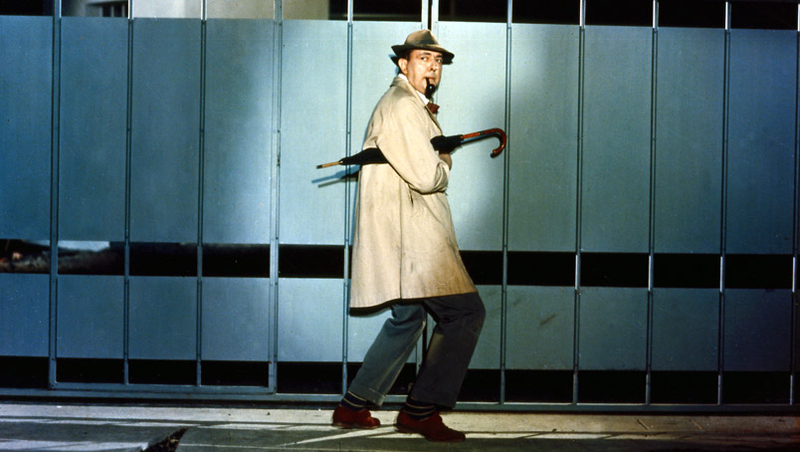 I feel about “Stop Making Sense” the way a lot of people feel about “Singin’ in the Rain”: It’s life-affirming and cheerful and happy-making. Whether I’m sad or in a great mood, I’ve caught myself thinking at certain moments, “God, I really wish I could see ‘Stop Making Sense’ right now.” Whaddya say, AMC? And, if you wouldn’t mind, could you also pack the theater with other people who love that movie? “Stop Making Sense” plays best with a big audience. If I had to choose a recent film, it would be “Only Lovers Left Alive.” I’m still pulling new details out of that on disc, and after three theatrical viewings the movie still seemed fresh. Opening up to catalog titles I’m tempted to go with a piece of pure entertainment that doesn’t have a proper home video release. I would receive an unlimited ticket to the Tom Waits concert film “Big Time” with nothing less than elation. I’m going to settle on something different, however, albeit also a catalog title that has poor representation on disc: the cinematography documentary “Visions of Light.” This is an endlessly inspiring film, and one I still learn from, but it also works as pure visual spectacle. It’s been 20 years since I saw it projected, but I’ve owned and treasured multiple copies on various home video formats. The chance to see it projected often, and implicitly to be able to bring friends along, would be wonderful. The magic of the theater-going experience comes down to a lot of very specific elements. So I’m going to say that I want an unlimited ticket to one of my best nights at the movies ever: “Showgirls” at the Castro Theater in San Francisco. Pre-show should include a 20-minute drag revue featuring Peaches Christ. They only do it about once a year, but that is NOT. ENOUGH. I already own it on multiple formats, but it’d be nice to have somewhere to watch a pristine 70mm print of “Playtime” whenever I wanted. It’s a masterpiece however you can see it, but it’s so much better on the big screen. My fantasy Unlimited Ticket would be for the 70mm restoration of “Playtime,” as I want to take a different seat on each showing to get a different perspective on each showing and discover something in the frame. That seems a little demanding, however, so I’d settle for “Blade Runner.” Not because it necessarily continues to give up new insights but because it still brings me back to my first movie loves whenever I see it. Plus, just for variety, they could rotate through all the different versions so we could get the narration one week, the workprint, the first director’s cut, and so on until “The Final Cut” on DCP. Because if I’m going unlimited, I might as well make it obsessive. All I can say is I wish this idea had been around the summer “The Shining” came out, I could have saved…well, actually, not all THAT much money, unless we’re adjusting for inflation. Anyway, I think I saw it nine times. Having an unlimited ticket would have been a financial boon when Terrence Malick’s “The New World” opened in theaters. I paid to see that movie at least four times during its run, sometimes purchasing tickets ahead of time and, in one instance, on a completely spur-of-the-moment decision when I was strolling past BAM and noticed a showing was starting in five minutes. His work almost always plays best on the big screen, but that movie in particular — with Emmanuel Lubezki’s lush cinematography, the expanse of the Virginia wilderness and his use of Wagner —made it as transporting an experience as I’ve ever had in a theater. Even though it’s probably my favorite of Malick’s films, it’s one I don’t revisit very often on DVD because that theatrical experience has been impossible to replicate. I would not pick the movie I thought was the best or the most beautiful or even the one I enjoy the most. I would pick the movie that always leaves me with a different idea about whether the characters are right or wrong. I love “A Thousand Clowns.” It is a smart, funny movie, both very much of its time with the fresh, black-and-white filming on real New York locations and jazz-riff edits. Most of the lead characters had a lot of time working together in the stage show to get comfortable with the gorgeous but challenging dialog. The questions of integrity and compromise are shrewdly presented but never get in the way of what is happening in the lives of the characters. I could watch that movie every few months to measure where I am in calibrating my own compromises. “The Wild Bunch.” Still effective 45 years later. Given that I’ve just watched the new Criterion Blu-ray twice back-to-back over the weekend I’m going to go with “L’Avventura.” One of my main reasons for going back to a favourite is to remind me of what cinema as a medium is capable of (often in retreat from a film that isn’t quite as good as “L’Avventura”), and as of right this minute I can’t think of a film that fits that bill more perfectly than Antonioni’s masterpiece. Dave Robinson’s “Take It Or Leave It” (1981) — one of the great London films. I feel compelled to pick a movie that I’ve never seen on the big screen and have always wanted to. 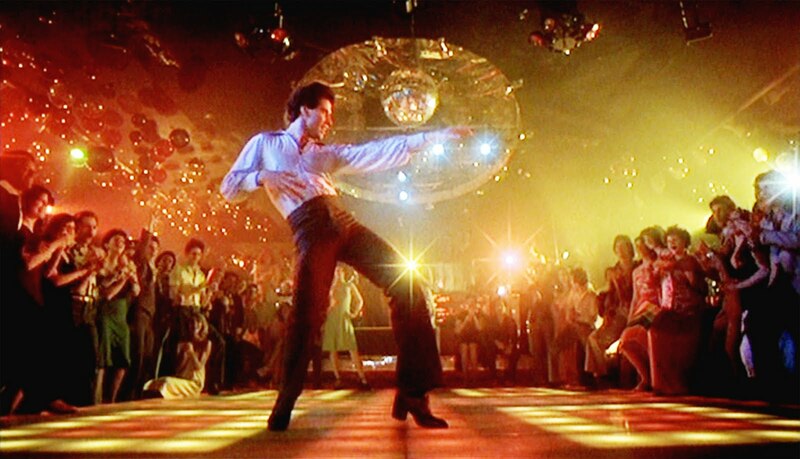 For that reason, I’ll choose “Saturday Night Fever.” It would take too much time to fully explain why this one is so important to me. The short version is that the movie and its awesome Bee Gees-laden soundtrack were enormously iconic when I was a child. I was too young to see it in the theater, and for that reason, I’ve grown somewhat obsessed with it as an adult. It’s also a far better film than many people seem to remember. I think it would be fun to mentally time-warp back to 1977 and pretend I’m seeing “Saturday Night Fever” during its initial theatrical run. Plus, those tunes would sound amazing in modern Dolby surround. You know, mulling this one over, I think I have to go with “Jaws.” For me, that’s the definitive flip-blocking film: If that sucker happens to be on, at any time, on any channel and I find it, I’m stuck fast. I guess the reasons are various, but most elementally, it just has so many good scenes, so many moments you want to stick around and see (Brody and his son’s evocation of one another; vacation goers stumbling off the ferry boat; the terrified girl who can’t even yell “shark” loudly at first; Hooper’s Styrofoam cup; the U.S.S. Constitution, etc.) before you know it, the Orca is sinking, Hooper has sunk to the bottom, Quint’s been bloodily bisected, and Brody is aiming his rifle at the camera, half underwater already. It’s been a while since I saw a film where I immediately needed to see it again —I think the last time I saw a movie more than once in its initial theatrical run was “Django Unchained”; before that, “The Matrix” — so I would totally redeem an unlimited ticket on something more economical: Christian Marclay’s “The Clock,” which runs a full 24-hours and isn’t something you could feasibly see in one viewing. And forget about paying a gallery’s entrance fee three or four times to screen the majority of Marclay’s engrossing cinematic experiment. A month ago I might have said “The Fog” or “American Graffiti,” two all-time top-tenners which (a) withstand multiple re-viewings and (b) I’ve never seen in a cinema [the latter only on pan-and-scan Betamax, but I still love every frame]. In the first week of November, however, I was present at the world premiere of James Benning’s “Farocki” in Vienna, and on balance I think this is the one film I’d like unlimited and unfettered big-screen access to whenever and wherever I chose. 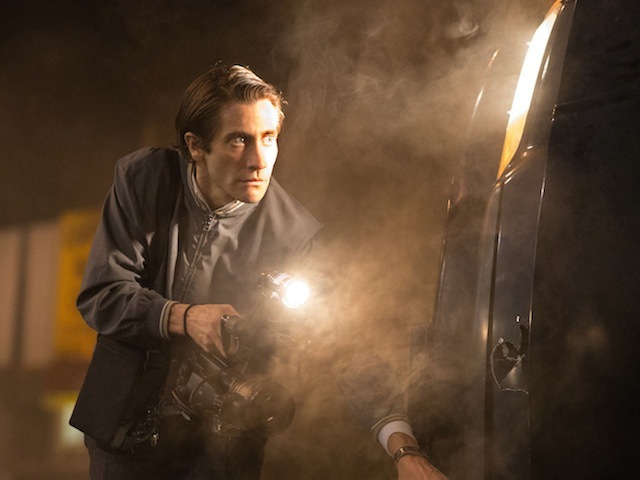 I suspect that even the greatest of narrative features might pall after the 50th or 60th watch, but when it comes to this kind of epic, contemplative, neo-Warholian experimenta, familiarity is more likely to breed contentment. Shot on impulse then completed as a gift for the eponymous, recently-deceased German master, “Farocki” is nothing more or less than 77 silent minutes of a cloud formation in the sky above California one summer day; one single take via a motionless digital camera. As such, it would function as a gently effective palate-cleanser whenever I felt overdosed with images, sounds and/or ideas, its vaporously nebulous, sublimely ineffable “protagonist” permanently open to infinite interpretation. To me, the best answer satisfies both parts of the question: What film would you want to see multiple times, and what film would you want to see theatrically? The film that leapt to my mind was “The Master.” It was a rapturous experience seeing this projected on 70mm, a rare treat. 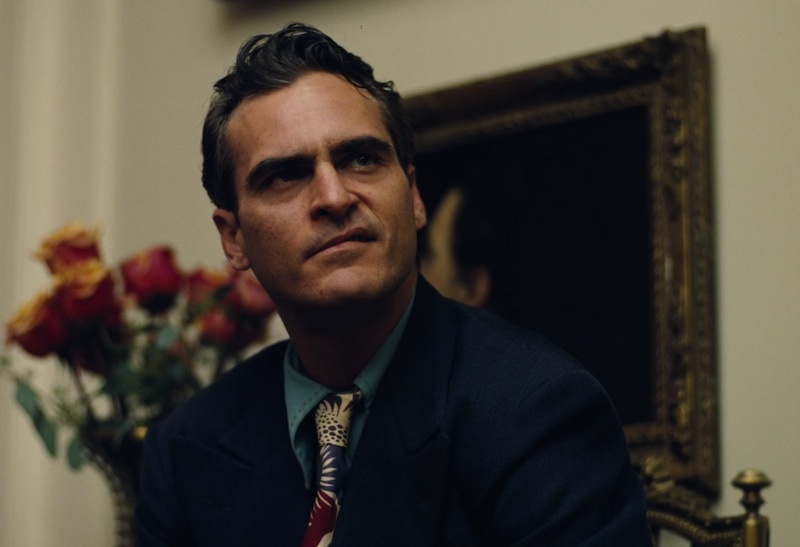 Yet “The Master” is also a film that nags at me, compelling me to return to it again and again. There’s something so beautifully incomplete about it; it requires active participation from the viewer to bring it to life. I’d love the chance to keep returning to a 70mm screening of “The Master,” sinking deeper and deeper into that unfathomably blue ocean. I see the unlimited ticket possibility as less as “cinema on demand” and more the opportunity to project a film on an endless loop. While I love many films that reveal themselves anew each time I see them — “Vertigo” being a key example — I would probably want to see a film with strong visuals to play over and over, almost like moving wallpaper. What appeals about seeing a film repeatedly is the constant touching of one’s pleasure center. Andy Warhol’s films come first to mind in this context — “Chelsea Girls” with it’s two simultaneous screens and the projectionist’s whim controlling the sound reveal new experiences every time. Warhol’s Screen Tests also fascinate me, and I could watch those short clips repeatedly projected around a room, as The Museum of Modern Art did a few years back. The recent film “Memphis” by Tim Sutton is gorgeous and demands repeated screenings, so I’d opt to see that on an unlimited ticket, too. The question of an “unlimited ticket” comes with a built-in implication that the movie one selects would offer a unique theatrical experience. Two of my most pleasurable theatrical experiences of recent years have been Paul Thomas Anderson movies bolstered by fantastic Jonny Greewnwood scores, 2007’s “There Will Be Blood” and the yet to be released “Inherent Vice.” Thanks to Anderson’s ability to always elicit strong performances from his cast and the aural pleasures of Greenwood’s often dissonant but evocative music, these films feel like a warm blanket I want to wrap myself up in, comforting albeit strangely so. The fact that “Star Trek: The Motion Picture” could just as easily be an “unlimited ticket” for me means that the common denominator might really be Robert Elswit, Anderson’s DP who also shot the considerable amount of effects footage for Robert Wise’s sci-fi epic. Honestly, I don’t think I’d actually make use of this. Part of the fun of doing what we do is seeing so many new movies, so limiting the theatrical experience in any way wouldn’t be something I’d be interested in. Sure, there are films I’d see again on the big screen, but I’m a sucker for sitting down in a theater to experience something new. That’s just me though, and I’m sure there are people out there who would love this, if not for “Interstellar” then for something else.